This section will answer some Frequently Asked Questions if you are thinking about purchasing one of our Anzscosearch Migration Guides. ANZSCO is the acronym for Australian and New Zealand Standard Classification of Occupations and it is a skill-based classification used to classify all occupations and jobs in the Australian (and New Zealand) job market. ANZSCO provides a framework for occupation-related information and is a product of a collaborative program between the Australian Bureau of Statistics (ABS) and Statistics New Zealand. It is a key reference document used by the Department of Home Affairs (DHA) in the assessment of Australian visas that involve consideration of a person's occupation. ANZSCO is available online and can be accessed at www.abs.gov.au (note that the current version of ANZSCO is 1.2). What exactly is the Anzscosearch Occupation Report? The Anzscosearch Occupation Report is a summary of key migration requirements regarding a specific ANZSCO code. This Report also provides information on eligibility and possible visa options for the selected ANZSCO code and contains numerous links to useful third-party official websites. 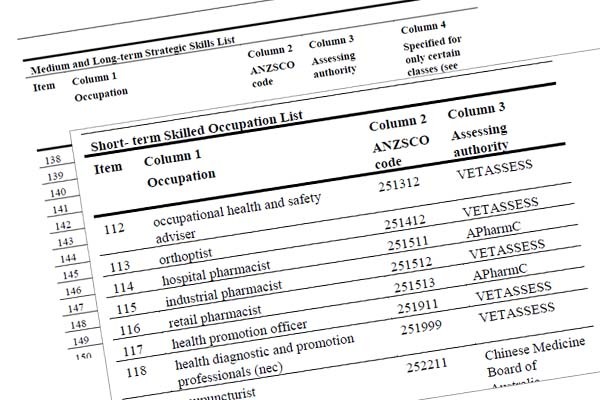 Anzscosearch Reports are the most complete, updated and comprehensive guides on ANZSCO occupation codes for general skilled migration purposes and the only product of its kind. Please note that as the Australian states’ occupation lists and requirements of General Skilled Migration can and do change, the Report generated today will not always remain current. What exactly is the Anzscosearch Skilled Migration visa Guide? The Skilled Migration visa Guide contains a summary of key information developed to provide guidance to people intending on applying for General Skilled Migration (GSM) for Australia and who might be considering lodging an application independently. The information in the Anzscosearch Skilled Migration visa Guide is intended to provide a general overview of the requirements for General Skilled Migration programs (visa subclass 189, 190 and 489). What exactly is the Occupation History Report? The Occupation History Report contains historical data not elsewhere available in relation to the selected ANZSCO code. 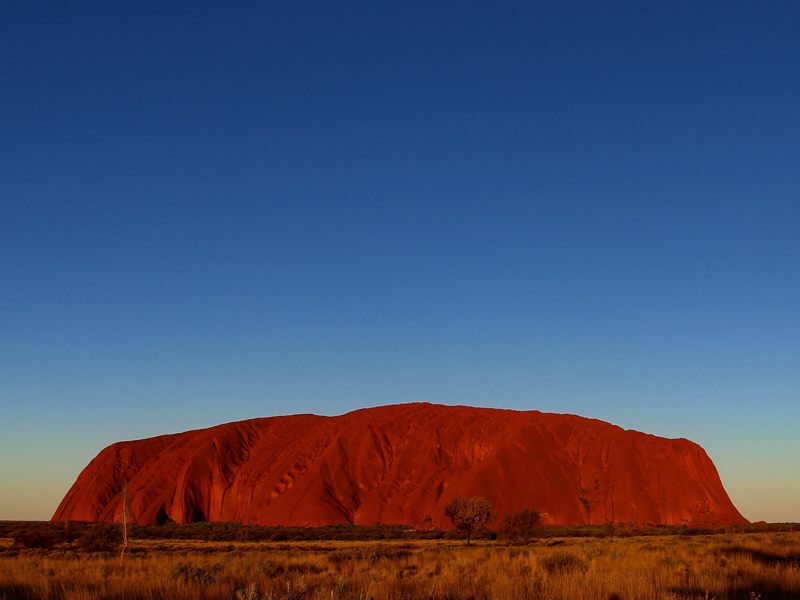 This Report includes information on changes of availability of State and Territory nomination that occurred over time for the selected occupation as well as the number of invitations issued on previous program years. Historical information goes back to 2013. Am I getting immigration advice if I purchase these Guides? It is important to note that the Anzscosearch Migration Guides are not immigration advice in relation to your individual circumstances and they are not a replacement or alternative to immigration advice and assistance from a registered migration agent. The Anzscosearch Migration Guides, if you choose to purchase them, bring together information and data from many different official sources and are comprehensive and occupation specific. A Registered Migration Agent would check official legislative instruments, migration law and policy and refer to official websites in order to provide immigration advice and assistance to an individual. If you wish to find a Registered Migration Agent you can search the electronic register on the website of the Office of the Migration Agents Registration Authority . To learn more about why the Anzscosearch Migration Guides may be useful to you read here . Where does the data come from? Is the information accurate? These eBooks are generated using official sources of information such the Australian Department of Home Affairs or the different Australian State or Territory official websites with all data and sources appropriately attributed. The constant validation and verification processes used ensures that all data is as complete, accurate and reliable as possible at the time the Guides are generated and downloaded. How often is the data reviewed and updated? Will I find information on how to find a job in Australia? No, you will not. The Anzscosearch Migration Guides do not provide any information on how to obtain a job in Australia, how to find a suitable sponsorship opportunities or any other information regarding visa TSS Subclass 482 (former visa subclass 457). Are the Anzscosearch Migration Guides easy to use? These documents are heavily structured, offering detailed guidance and instructions regarding a specific ANZSCO occupation code. They have been carefully designed with interactive Table of Contents and useful and detailed Glossaries of Terms relating to Australian General Skilled Migration. Who is behind the Anscosearch Migration Guides? These guides have been developed by Anzscosearch. You can read the story about how Anzscosearch started here . These guides have been developed in consultation with VisAssist ®, a migration consultancy based in Sydney (RMA 0955139). How will I receive the eBooks after I purchase them? After you have successfully purchased our eBooks / Guides, you will immediately be able to generate them. Once generated, they can be downloaded in PDF format. Please note that you will have unlimited access to all your downloads. How much does it cost? Is the payment a one-off fee? The Skilled Migration Visa pack, which contains our 3 eBooks (Skilled Migration Visa Guide, Anzscosearch Occupation Report and Occupation History Report) cost $35 (Australian Dollars). The Anzscosearch Occupation Report and Occupation History Report cost $25 AUD. 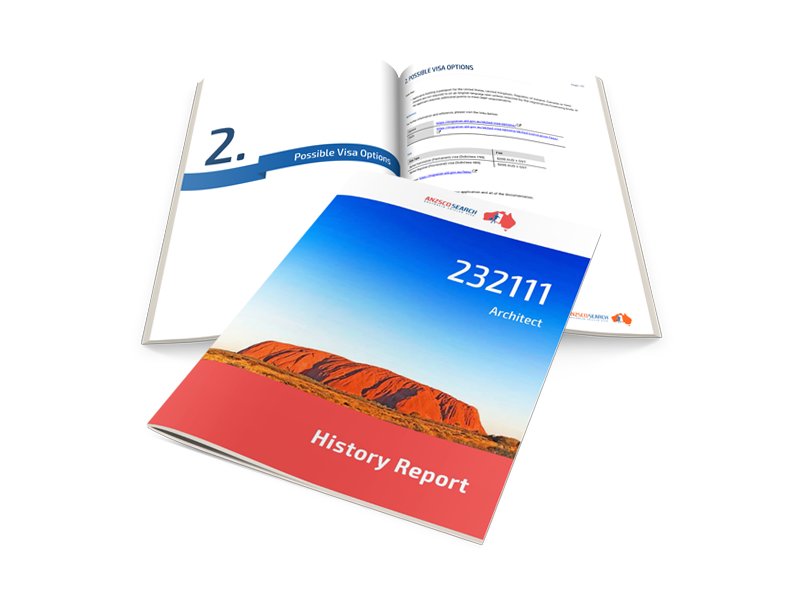 You can purchase the History Occupation Report separately for $10 AUD. Note that no credit card information is stored on our servers.